French niche line Dear Rose has launched Oud Vibration, a new fragrance in the brand's Exclusive Collection. Do you remember our marvellous journey to the East? Do you remember all those mythical fragrances surrounding us with their vibrant power? I can smell the perfume of OUD wood gain, as lively as a beating heart. OUD enchants me, with its mystery, its warmth, its myriad vibrations, the quintessence of an unforgettable, scent-laden journey! 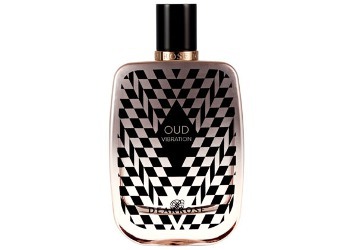 Oud Vibration was developed by perfumer Fabrice Pellegrin. The notes for the woody oriental fragrance include raspberry, cardamom, rose, clove and labdanum. Dear Rose Oud Vibration is available in 100 ml Eau de Parfum, €235.